Providing your child with a sandbox provides them with a space of their own to let their imagination run wild. Using their creativity, they can construct a birthday cake or create a track for their cars. As they play in the sand they will be increasing their hand-eye coordination as well as their large muscle skills. 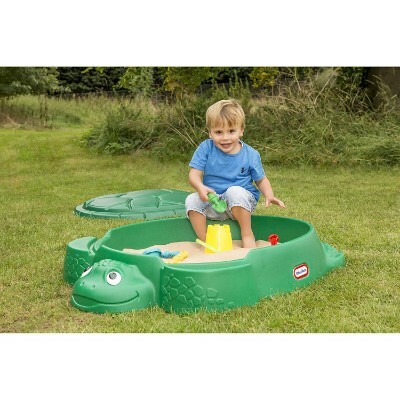 We have created a list of the ten best sandbox products to further stimulate your child’s imagination. Whichever product lands in your shopping cart, we’re confident that your child is going to have a blast for hours. The opportunities for imaginative and creative play inside a sandbox are endless. This list has recently been updated to ensure that all of the products were in stock and well reviewed. Ahoy Matey! 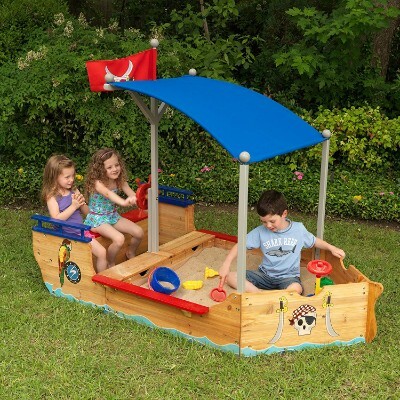 Your child can sail the sandy seas with the Kidkraft Pirate Sandboat. This sailboat shaped sandboxed is roughly 6 feet by four feet, thus allowing several children to play together at once. Composed of wood, this sandbox ship is durable enough to survive the roughest seas. The pirate-themed artwork adorned on the outside of the ship will further enhance your child’s imagination as they play on the ship. The included step-by-step instructions are highly detailed which will make the assembly process quick and simple. Equipped with a bright red steering wheel, your little one can steer the ship when they want to take a break from playing in the sand. 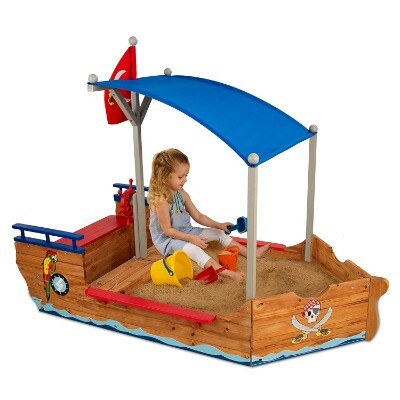 There are two storage compartments on the ship to help your child keep their sandbox toys organized and in one place. The large canopy will provide shade and protect your child from the hot sun. Place this anywhere in your yard and watch as the adventures unfold. With very small toddlers, a large sandbox may present a few too opportunities to find something dangerous to swallow. 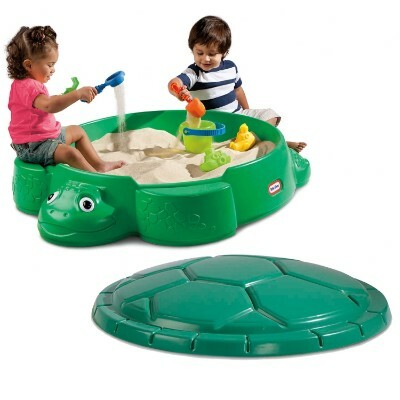 This product from Step2 is a perfect first sandbox for your toddler, giving them an environment to sculpt, build, and play in while giving you the assurance that they are using safe sand. The product is designed to resemble a smiling, scuttling crab with a removable shell to hide away the sandbox. 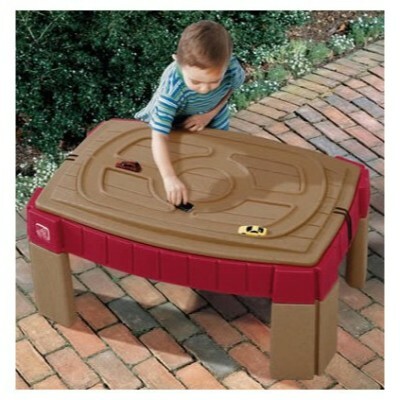 This set is also easy to move, and can be slid underneath a porch for shelter for play on rainy or inclimate days. 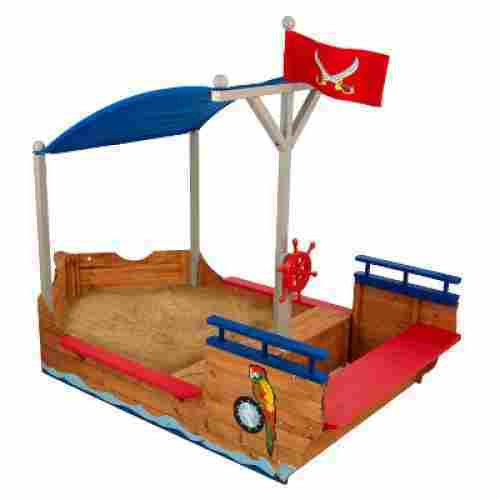 This sandbox will give them the space for imaginative free play that they need, and give you the opportunity to have greater control over the materials getting into their sandbox. The set includes a removable shell lid that helps keep your sand clean of debris and foreign objects, and this product also includes a 4-piece accessory kit to get them started with their excavations. 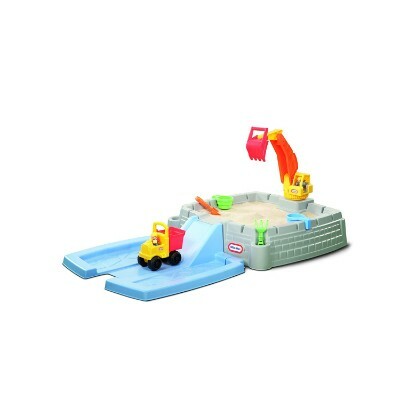 Playing in the sand just got that much more fun for the kids with this sandbox. It is a construction zone with a digging feature that allows them to really pick up and load the sand into the back of the trucks. The sandbox has ramps and molded roadways that lead down into the area where the sand is. Holding up to 100 pounds of sand, this sandbox really is able to allow the kids to dig down and create a construction zone that they have been dreaming of. Sand play is a great way to allow children to develop their fine-motor skills. Digging, dumping, pushing the trucks around, and using the excavator to dig are ways that develop the hand and finger movements that make up some of the fine-motor skills that they will need to be successful in school and throughout life. There is a bonus feature with the lid of the sandbox turning into a ramp that connects to the side adding a larger play area. When finished, the lid fits securely over the sandbox to keep the sand dry and debris free. 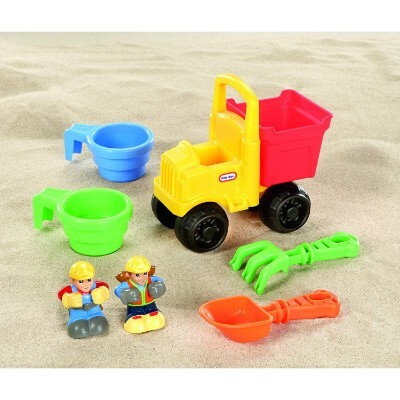 It comes with two plastic construction characters, two play-and-dig cups, a dump truck, and two digging tools. Make your truck-loving, construction-hat-wearing kid's dreams come to a reality with this sandbox. Going on a dinosaur adventure will be the hit of the afternoon with this sandbox. 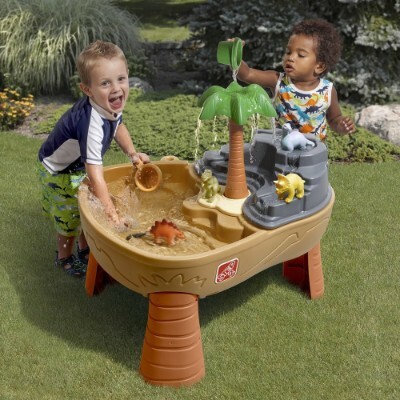 It is a featured sand and water table that is dinosaur-themed. The two-sided table has a large pit for sand and a raised section on the other side of the table for water. On the water side of the table, there is a drain plug to allow for easy emptying. 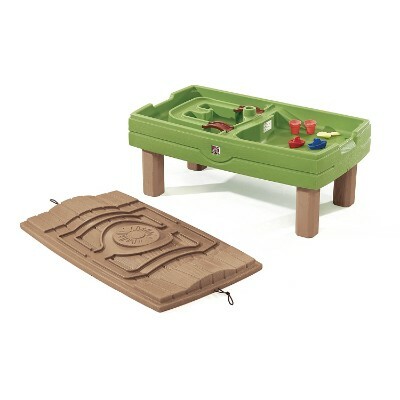 The sand side of the table has a table lid that also works as a play area with a volcano and rock-shaped mold. 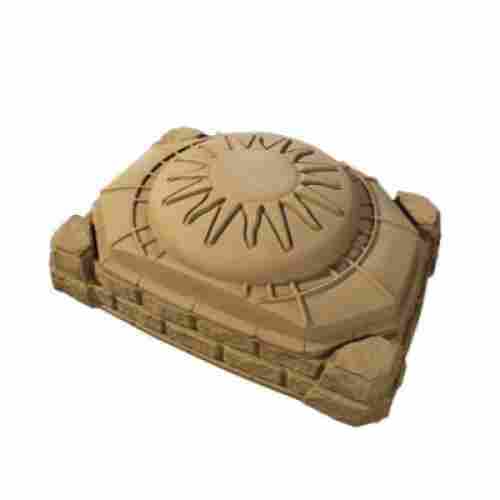 It protects the sand from the weather and neighboring pets when not in use. 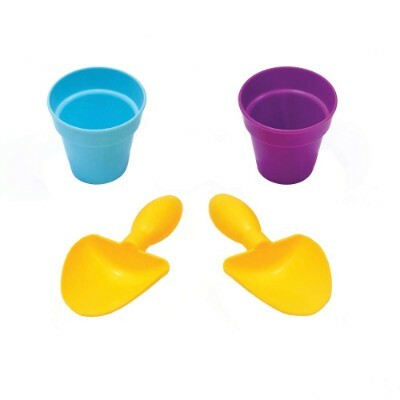 Included with the table are two scoops that make playing in the sand and water a fun adventure. 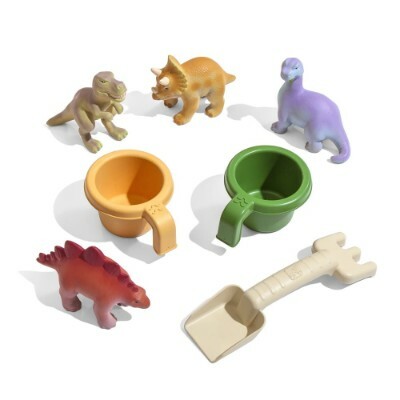 Also, included with the set is an accessory kit that features plastic dinosaurs, a rake, and shovel to explore and play with. This activity table is big enough for multiple kids to be able to play at one time. 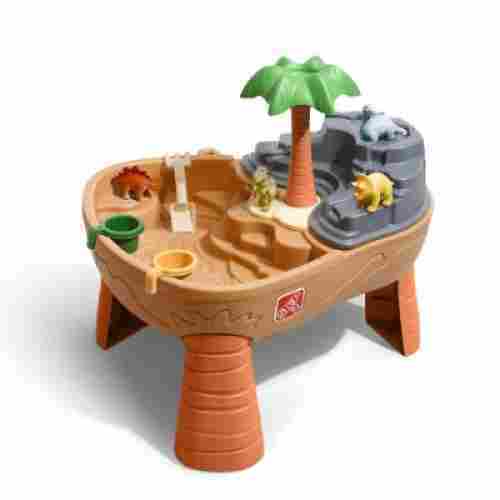 So, if your little ones are looking for some prehistoric fun this is just the sandbox for them. 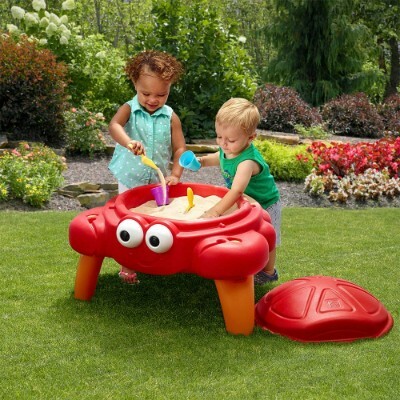 If you’re struggling with getting your little one to experience the joys of a sandbox, the Little Tikes Turtle sandbox will surely do the trick. 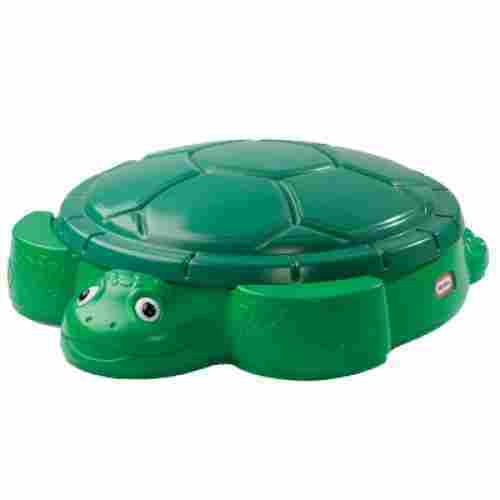 The kid-friendly animal face and turtle-shaped body will have your little one excited to hop in. This sandbox is 38.8 by 43.2 inches, which is plenty of space for several children to enjoy. 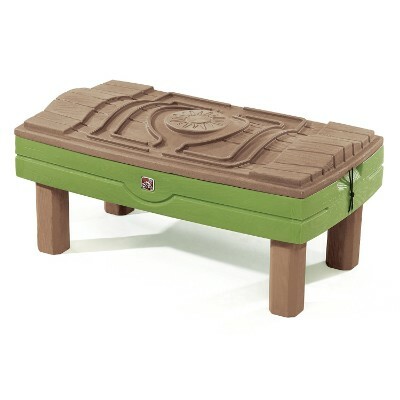 Furthermore, it is twelve inches deep and is designed with molded-in features on the bottom to encourage digging. The two front turtle feet double as seats, thus providing a comfortable resting place for when your child needs a break from being covered in sand. 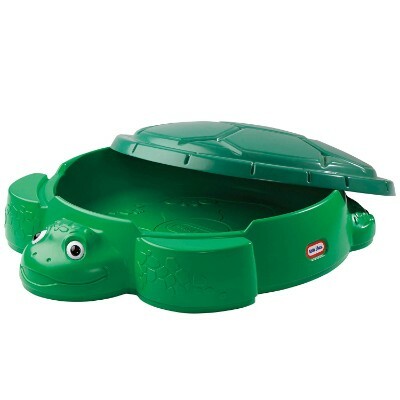 With the turtle shell designed to be a lid you can easily keep this sandbox out all year long and the sand super clean. What is more synonymous with sand and the sea than a Sea Turtle?! This highly-appropriate design can actually introduce your child to the ocean ecology, sparking deeper questions about all that can live in the water! That’s only one of the possibilities that this toy provides! With a friend and a sand bucket, the questions and play can go on for hours on end. Step2’s Naturally Playful Sand Table is an ingenious way to help kids enjoy playing with sand right in the comfort of their own playroom. 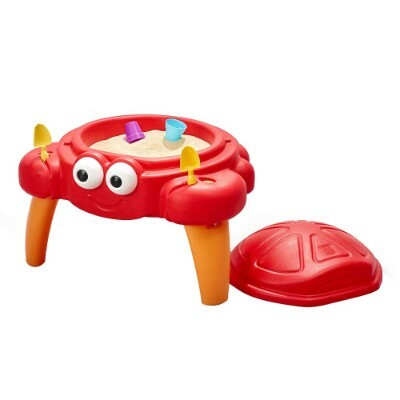 Measuring just 36 inches by 26 inches and a depth of around 3.5 inches, this sand table can be conveniently moved wherever kids would want to play. The height of the table is around 16.375 inches so it’s perfect for playing with toddlers standing up. It also features a beautiful lid that is itself designed with molded-in roadways so kids can use it to play with their toddler toy cars. Perfect size for a toddler and the weight capacity for them to easily lean on! The set comes complete with 2 shovels, a bucket, and 2 claw rakes for additional fun in the sand. Has your kid ever had a desire to go to the beach in the middle of fall, or even winter?! 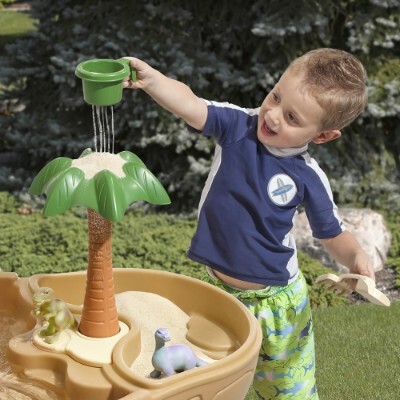 This playful sand table has the ability to bring you the beach no matter what the season! It doesn’t even need to be cold out! It can just be too hot to go out, or too far from the beach There aren’t many accessories included with this toy, but with a some imagination and toys already in his or her child, the fun can last hours! Not all sandboxes have to be big enough for your entire body. Weighing less than two pounds and measuring in at 8 inches by 10 inches, the A Day At The Beach sandbox is perfect for any desk or tabletop. Along with the wooden frame, you will receive pearl white sand, grooming rake, digging shovel, sand pail, starfish, mini seashells, beach chair, and an umbrella. With this unique take on a zen garden, your child can allow their mind to wander to the beach from the comfort of their bedroom. Sandboxes are super fun for kids and adding water even makes it better. This sandbox is the best of both worlds. It includes activities for both sand and water. One half of the table is dedicated to water while the other is perfect for sand. The sand side features a large deep section made for up to 20 pounds of sand. 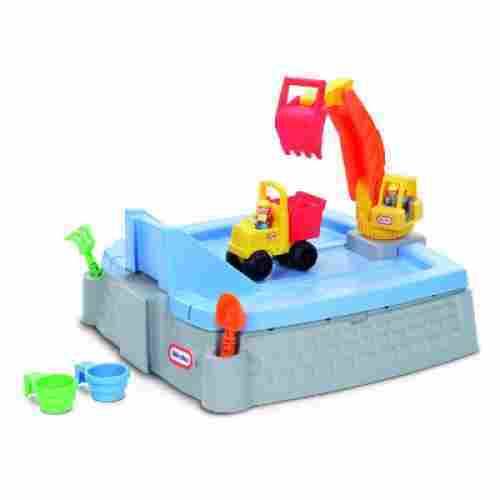 Included with the sand and water table is an accessory kit that includes eight pieces of boats, shovels, buckets, and bridges. To keep the kids out of the direct sun when playing included is an umbrella that provides up to 60 inches of shade. 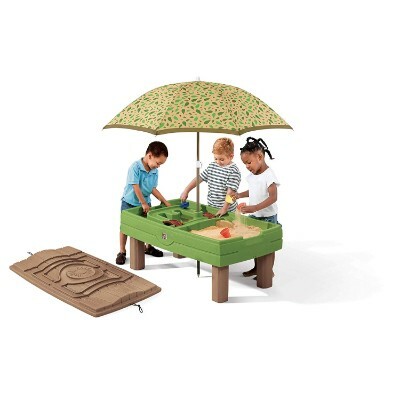 If you are looking for a sandbox that provides more than one activity and also provides a way to protect the sand from nature’s elements this sand and water activity table is perfect. The side with water features a drain plug for easy emptying. 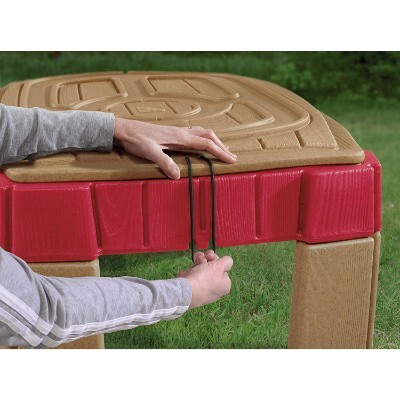 To protect the sand when not in use the table features a lid that can be strapped down with elastic bands that are included. This is great for keeping animals and bad water from the sand. Sand and water play is sensory development activity that is beneficial for children. It develops the sense of touch through feeling and working with different mediums. When they are able to manipulate the sand and work in water play it creates a sensory play experience that great for their development. Designed and built to look like a real sandstone and boulder, the Naturally Playful Sandbox is a marvelous piece of play area for young kids. 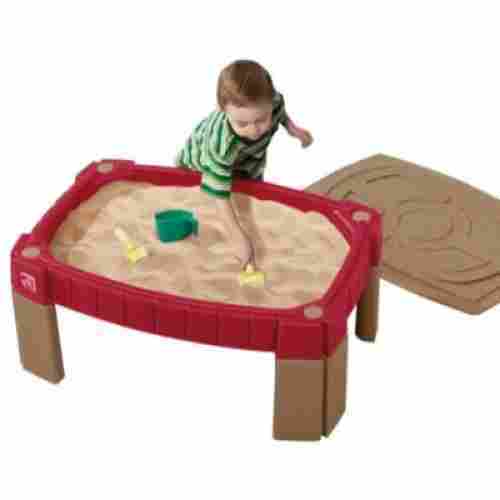 This sandbox from Step 2 measures 44.1 inches by 31.9 inches and is 15.3 inches deep. It can hold up to 200 lbs. of premium beach sand or any other safe sand for your kids to play. 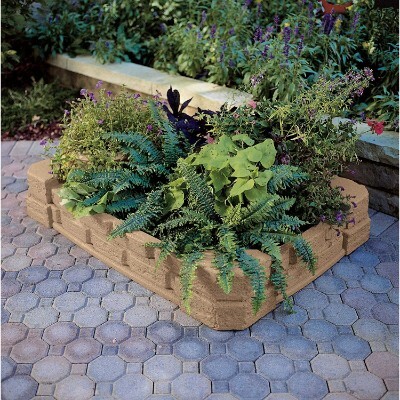 The contemporary design can be an excellent addition to your backyard or garden landscape as the sandbox itself has a beautiful lid that protects it from insects and the weather. It has cornerstones that have been molded-in to provide for comfortable seating. With generous sizing, your child will have more than enough room to play in the sand. The sandstone and boulder design is the best achievement in subtlety and style! With it, we take into account the tastes of parents, as well, as the wants and needs of children. We’ve all seen it -- parents with a house full of kids, that looks more like a fun house or a Toy’s R Us, rather than a place that two grown-ups actually own! Well, this designer lid and design adds all of the charm of a garden decoration when playtime is over! The dual function being, a practical covering space to avoid contamination of the sand when not in use. 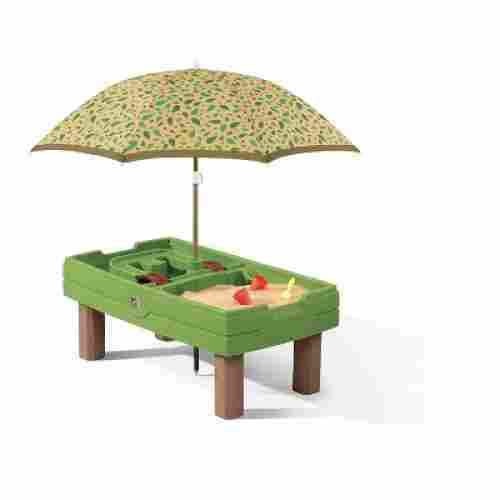 With My Little Sandbox Builder, your child can enjoy building in the sand in rain or shine. 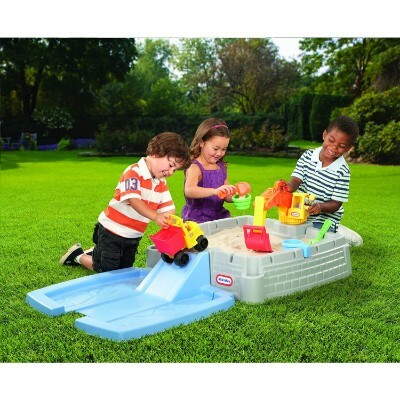 This 10 inch by 10-inch sandbox is small enough to fit anywhere in their room. If that last sentence gave you anxiety, don’t worry this sandbox also comes with a no-mess play mat so you won’t have to worry about sand ending up all over your child’s room. To further ensure that the sand stays inside, the box is equipped with a lid. The box doubles as a storage container, thus all of the mini accessories can rest safely inside when they are not being played with. The construction themed accessories will unleash your child’s imagination and encourage them to engage in pretend play. This set includes several mini construction accessories. Your little one can enjoy playing with a dump truck, boulders, bag of gravel, digging shovel, safety cones, grooming rake, and a construction crew. Coming up with the best sandbox product for a top 13 list is no easy feat. Since every product serves a single purpose, we had to carefully examine other features such as design quality, sturdiness and strength of the materials used, and the overall safety. Additionally, we had to look at the ease and convenience of setting it up and of storing it as well as its overall capacity. 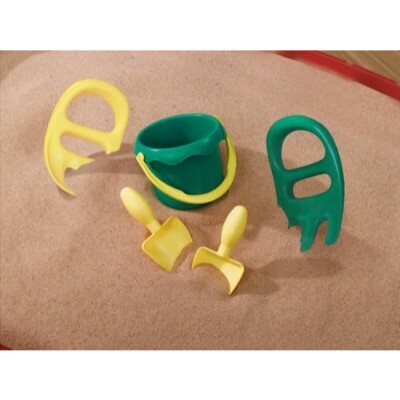 For very young kids, sand play helps develop and enhance motor skills and physical development. They dig, draw, and build structures in the sand. They sift the sand and scoop it with their hands, ready to dump in their bucket or even toy vehicles. Burying a part of their bodies in the sand then digging it up can also help strengthen leg and arm muscles while at the same time enhancing their sense of coordination and balance. More importantly, however, is the ability of sand play to help stimulate and enhance children’s cognitive development. When using different tools like containers and sand molds, they learn shapes and sizes which can help in their numerical abilities. Young children will also begin to understand the concept of “full” and “empty” as well as “light” and “heavy.” Children can also experiment with sand, especially in the use of magnets. There are many reasons why sand play is such a fun activity for kids. While adults will consider playing with sand as unnecessarily exposing our children to microorganisms, it should be understood that sand play is different from playing with mud and contaminated soil. The sand that is used in many sandboxes for kids have been dutifully washed, cleaned, and removed of known carcinogens as well as allergens. This makes it perfectly safe for kids to play with. Unlike ordinary sand, soil, or even mud, there will always be issues about child safety. Nevertheless, the point of the matter is that sand play is a very important aspect of helping children develop to their optimum potential. Sand play fosters open-ended play. This means that they can do anything they want with and in the sand. No instruction manual is needed to draw smiling faces on the sand. Children don’t need guidance on how to build their favorite structures. Sand is an open-ended medium that encourages imagination and creativity. 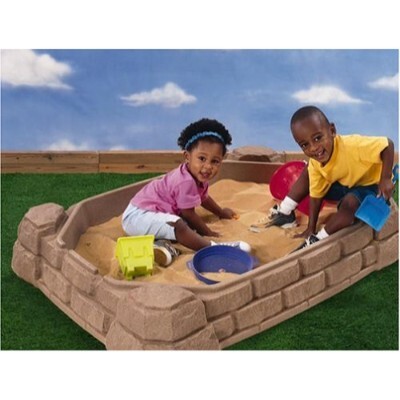 Kids can simply sit in their sandbox all day long and just cover their legs with sand. They can bring along their shovel and load sand onto their toy dump truck. They can make burger patties and pretend they are grilling on a make-believe grill in the sand. The possibilities are endless. Since sand play is open-ended, the only limitation will be the physical endurance of children. If your child is constantly playing in their sandbox, it is recommended that the sand be changed twice a year. Sand play is also important in enhancing children’s emotional development. This allows them to express themselves in more constructive ways in pretty much the same manner as drawing and painting can help express a child’s thoughts and feelings. Their creations in the sand can help communicate what they are thinking as well as what they are feeling at any given moment. q: How did the use of the sandbox become so popular worldwide? The use of sandboxes began in the 1840s in Germany. The early developers of the concept of kindergarten were actually pioneers in child psychology! Astutely observant, they probably noticed the natural play of children on the beach and felt the need to recreate this in all spaces. In the United States, in the 1920s, with the rise of behavioral psychology, they saw the immediate benefits of implementing the use of sandboxes in society throughout America, too. q: How important is it to have clean sand in the box? It has been shown that dirty sand can carry mold, bacteria and many parasites, such as pinworms and toxocara, which are all very dangerous to the health your child. It is highly recommended that children not play in boxes that have clear indication of soiling or contamination, and that they thoroughly wash their hands after use. We suggest that you keep your sandbox covered when not in use. Also, the sand in your box should be changed regularly. Many of our products come with ultra-fine, hygienic sand. q: How do I maintain the sandbox? The best and simplest way is to keep it covered overnight. In addition, we recommend getting a high-quality stain for your wooden sandboxes in order to waterproof, so that it can last for years to come! For the sand itself, change it twice yearly! Get ultra-fine grain sand, and sift it after every use with a small metal rake. Finally, at the end of every play session check to make sure the sand quality hasn’t damaged any toy products in use….we all know how expensive those can be! q: What should I do once my child outgrows their sandbox? There’s always an excellent resell value on most of these items! But, if it truly is a major concern, it is suggested that you purchase the sandbox that is most easily translated into your everyday adult life as a parent and householder. For instance, the Kidcraft Sandbox could easily become a garden planter later on. q: What is the earliest age that I should get a sandbox for my child? I would say the sooner the better! Three years old would probably be the best bet! The ages of 2 1/2 to 3 is the time when their brains are at their most malleable, just beginning to develop and put the pieces together. 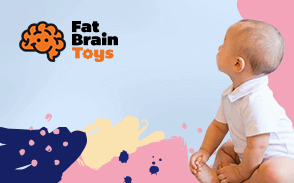 There’s already an instinctual drive to grab, hold, build, roll and play! Sand is the best element for this as a beginning. q: Why are sandboxes so expensive? Some of these products are the finest on the market! Many things have been taken into consideration for the health and safety of your child. The production and provision of ultra-fine hygienic sand is one factor. Quite a few have high-quality sturdy construction, made with cedar in order to prevent mold and mildew. Then, there is the ability that some have to maintain a capacity of upwards to 200+ pounds of sand. It’s all a reasonably commensurate ratio to market value.